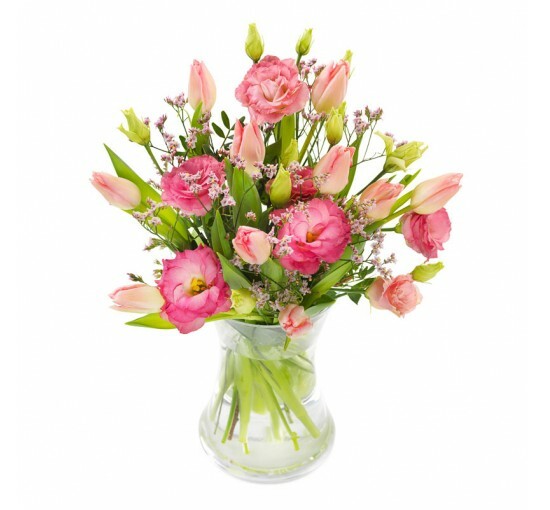 Expressing care and love is more than evident with this beautiful pink bouquet. 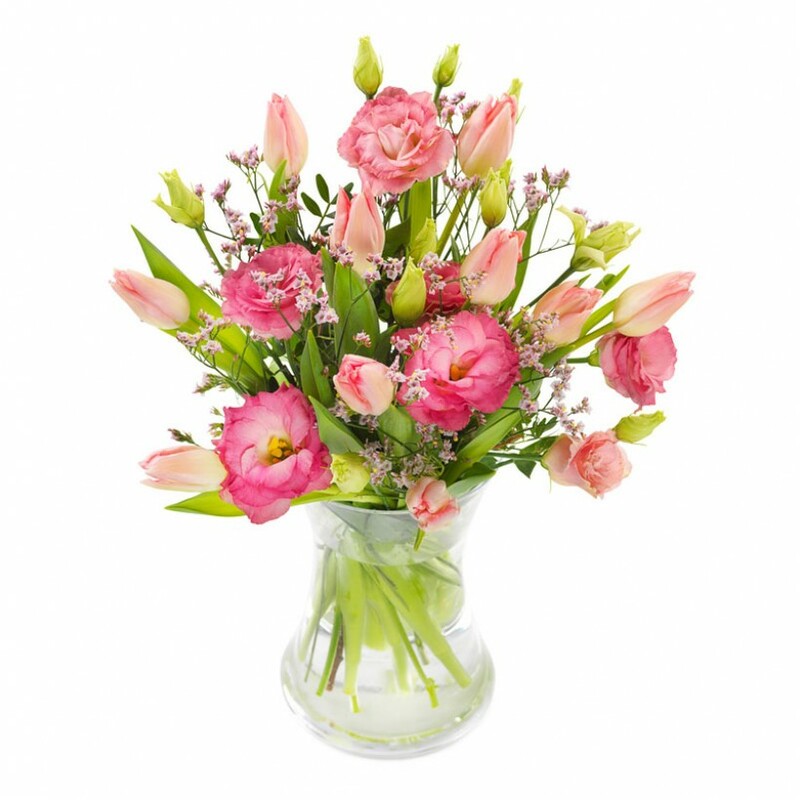 Our florist will combine eustoma, tulips and limonium to form a lovely gift for a birthday, a thank you or simply a "I care for you! ".